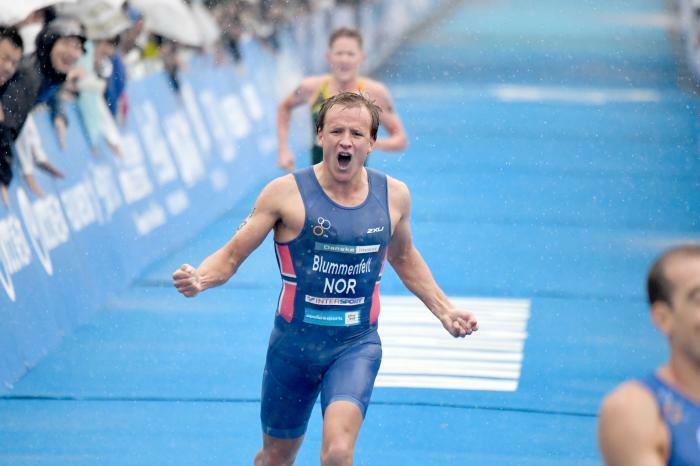 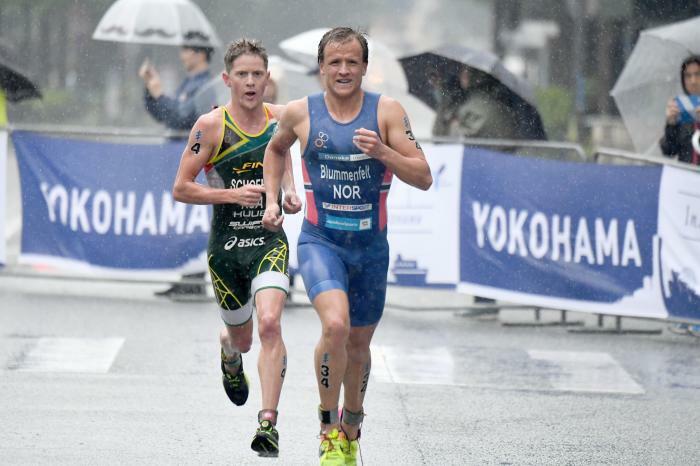 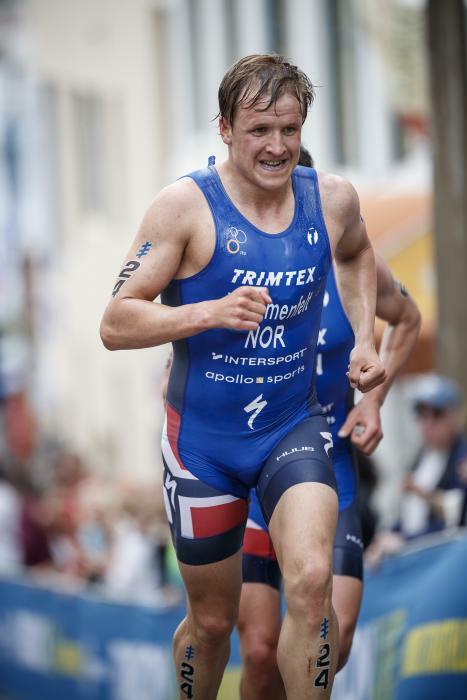 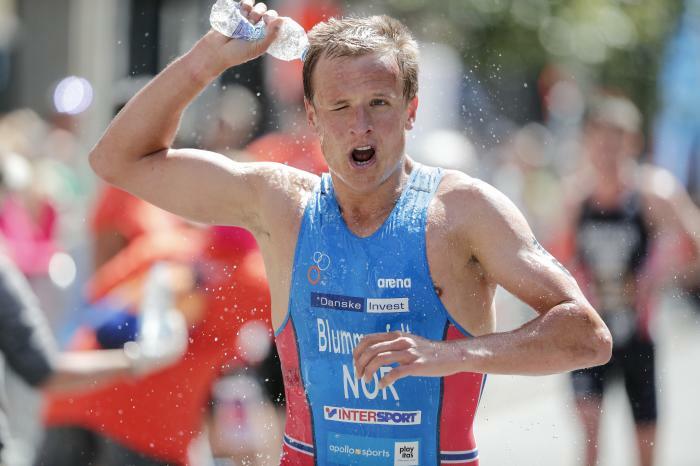 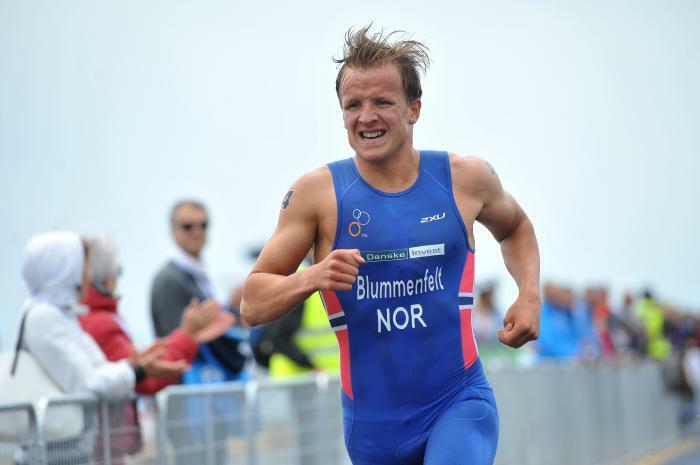 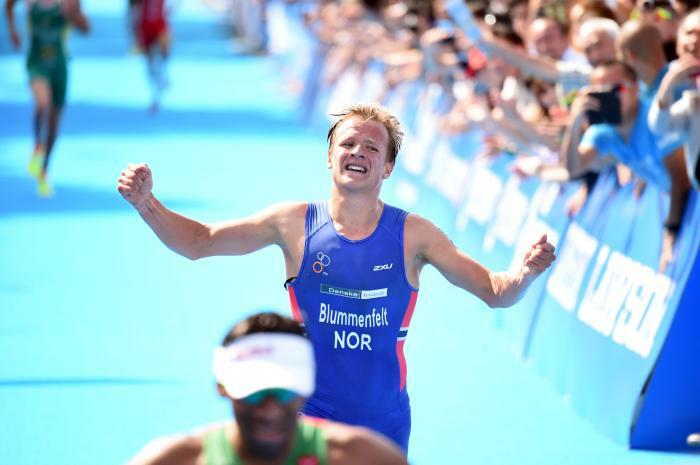 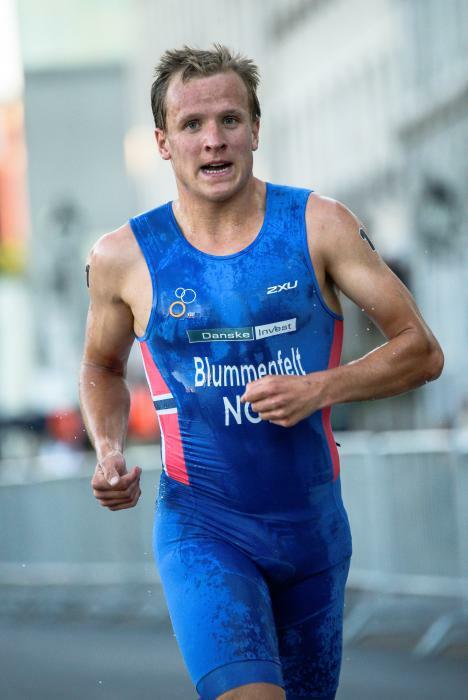 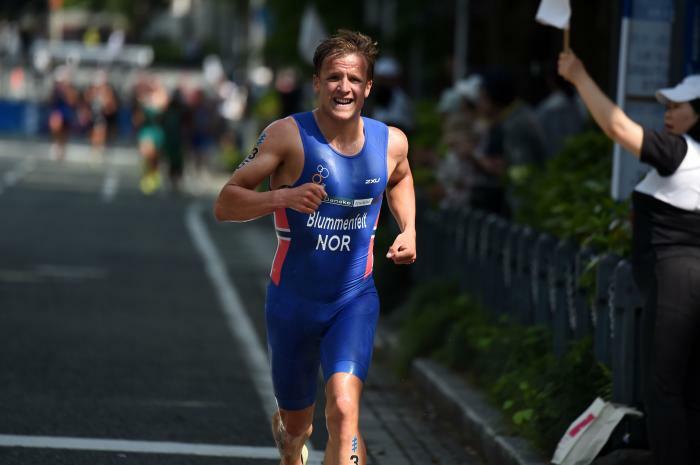 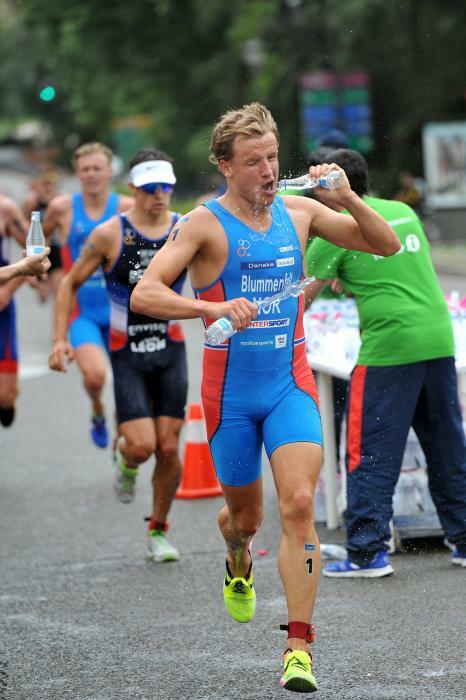 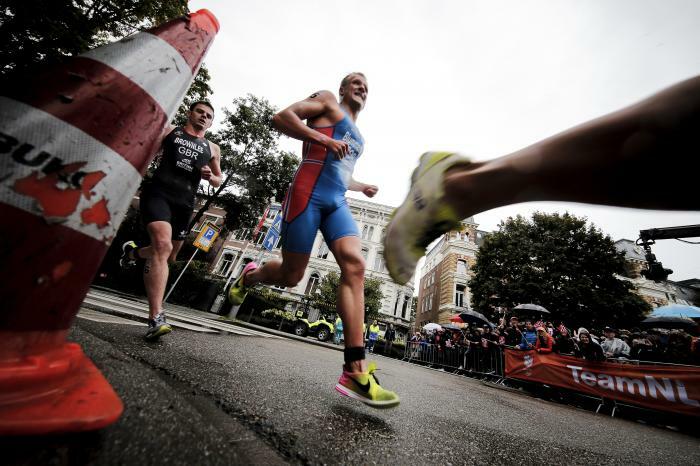 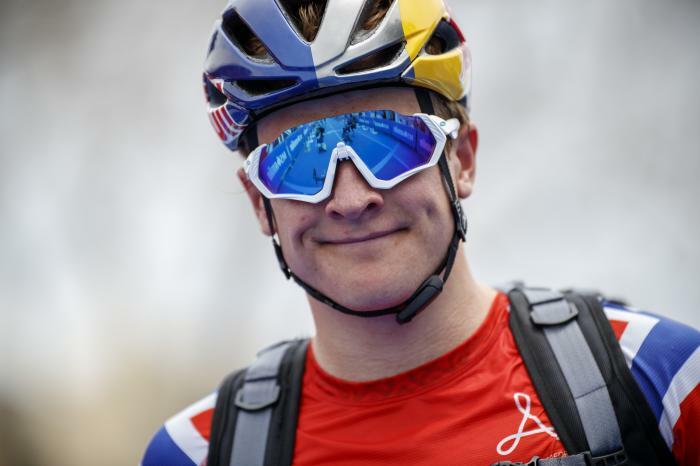 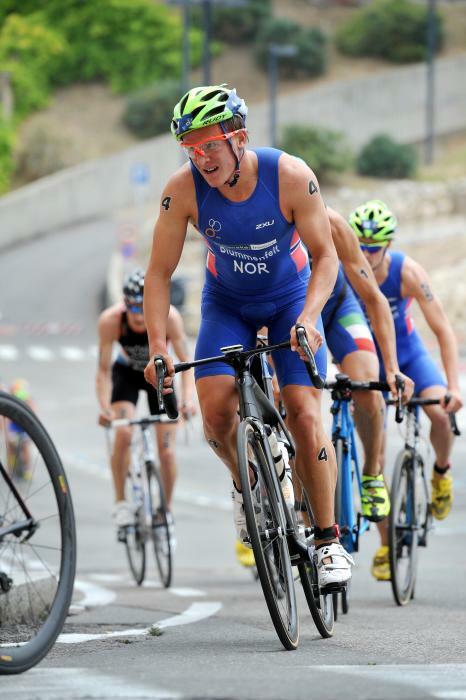 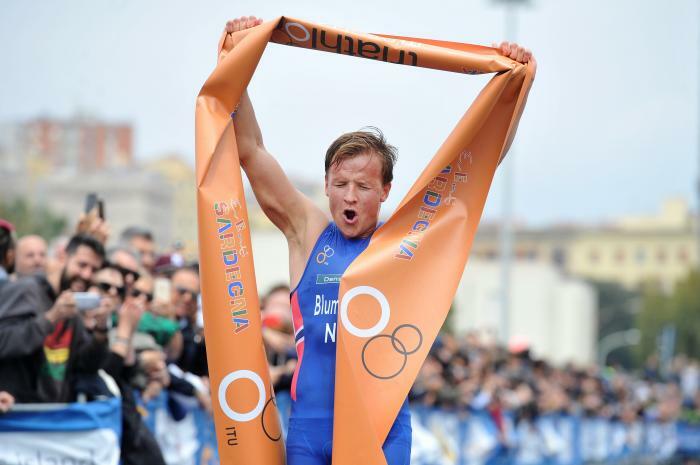 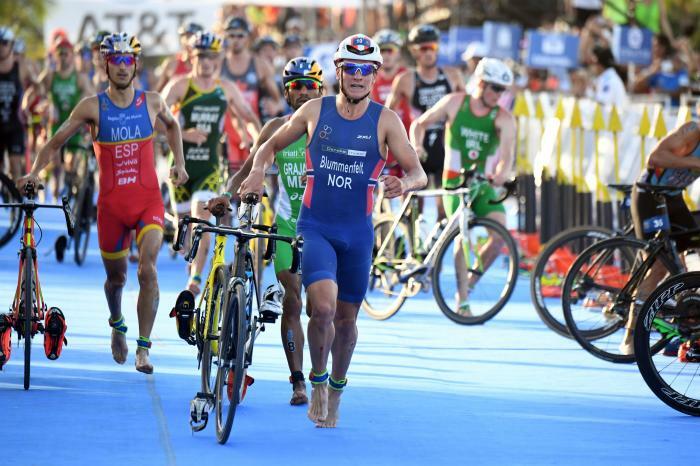 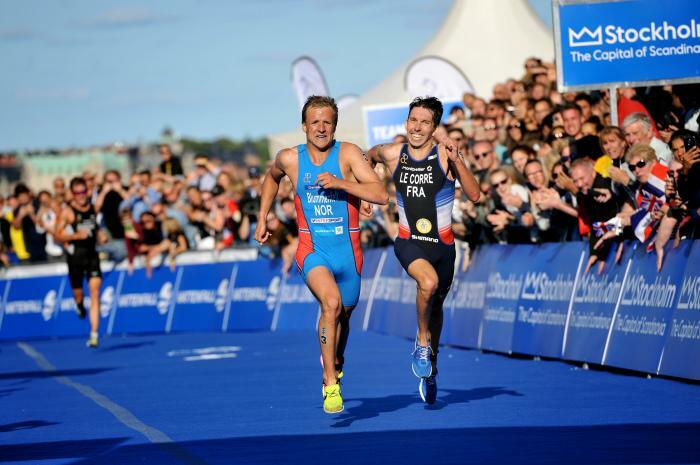 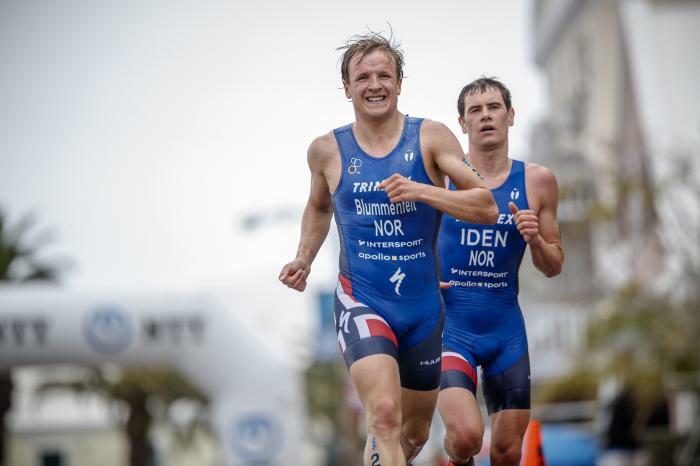 Kristian Blummenfelt finished 2018 ranked number five in the World Triathlon Series, and the Norwegian star currently trains for up to eight hours a day, swimming up to 45 km, cycling about 400km and running up to 120km per week. 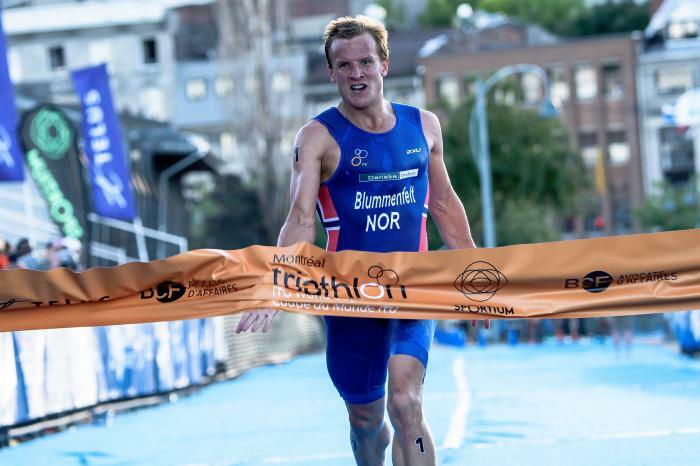 Kristian started out as a track runner and represented the clubs Fana IL and TIF Viking and competed in the Junior 2011 European Cross Country Championships. 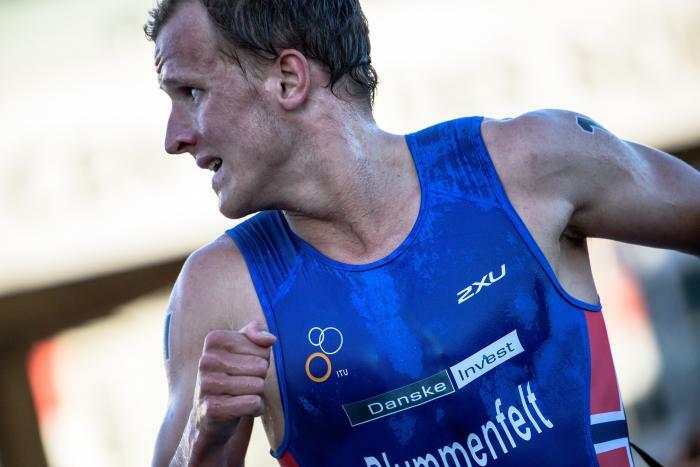 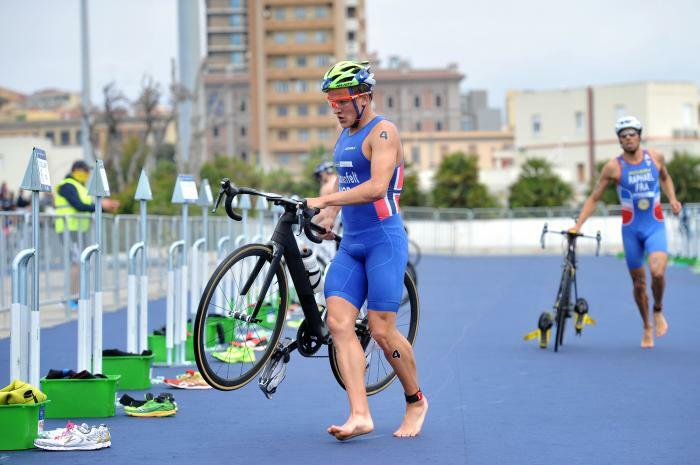 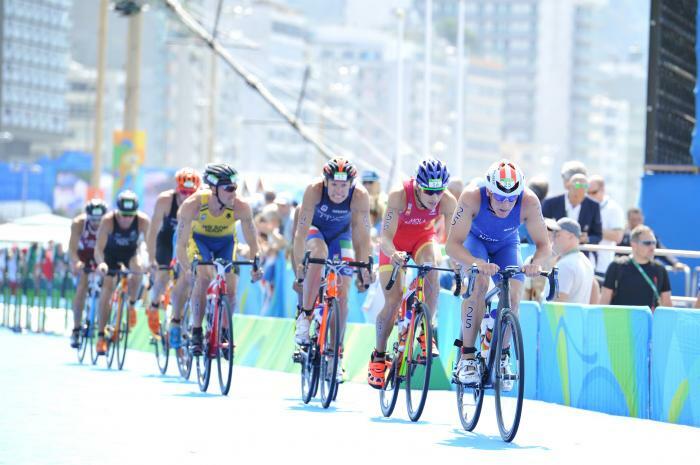 In triathlon, he won a bronze medal at the 2015 European Championships and placed 13th at the Rio 2016 Olympic Games. 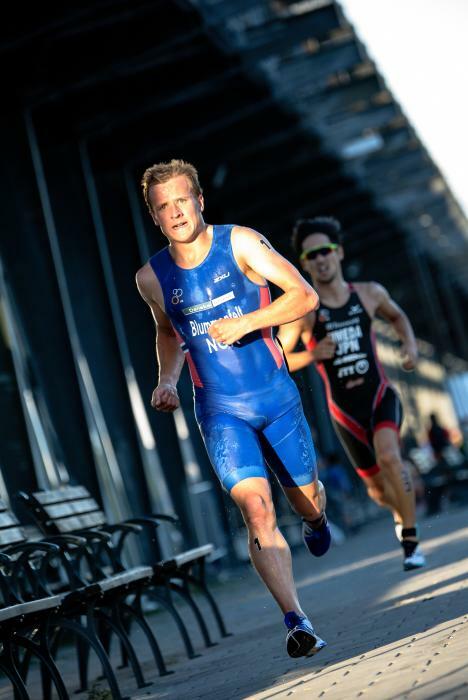 2017 brought about a number of podium places, including the silver medal at the Rotterdam World Triathlon Series Grand Final, and he continued to mine similar success through 2018. 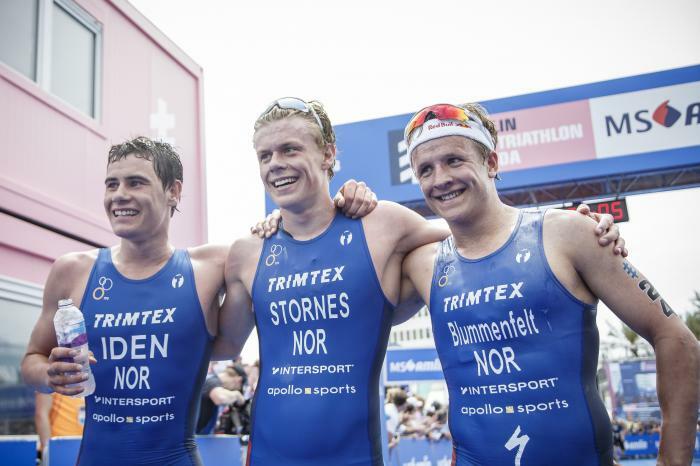 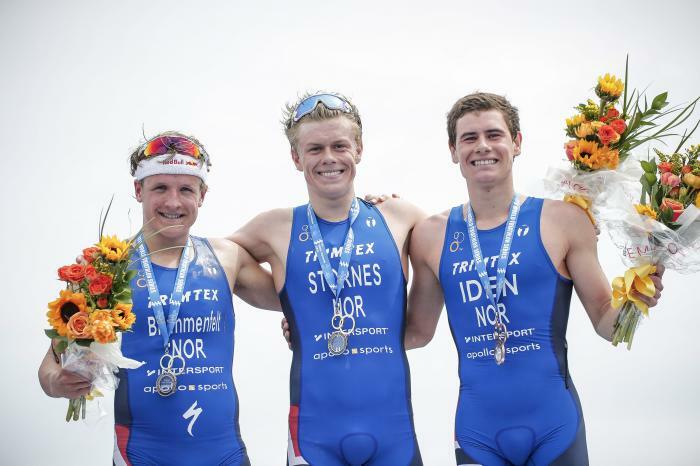 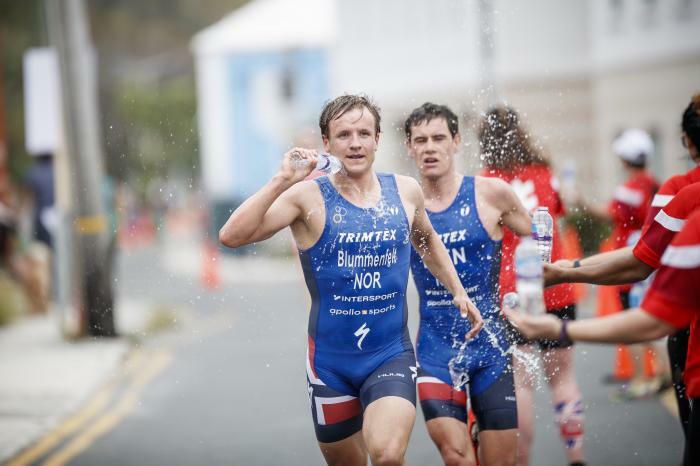 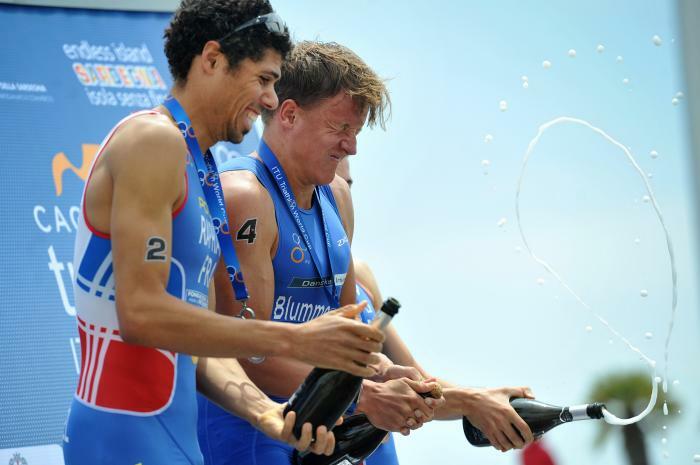 His second place in the inaugural WTS Bermuda was made all the more remarkable as, along with Casper Stornes and Gustav Iden, Blummenfelt was part of the first ever clean sweep of a WTS podium by a national team. 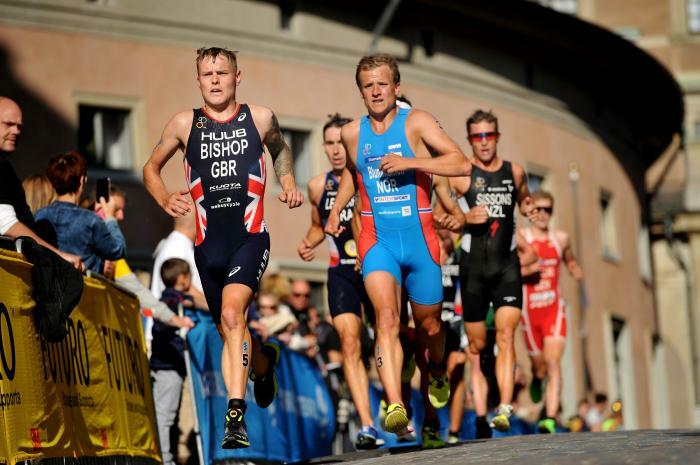 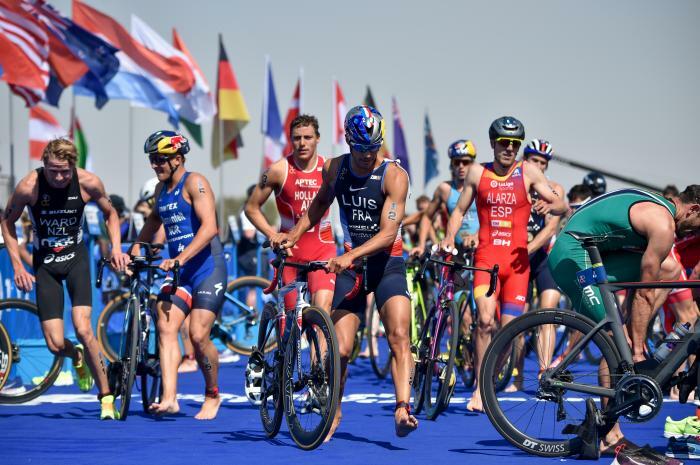 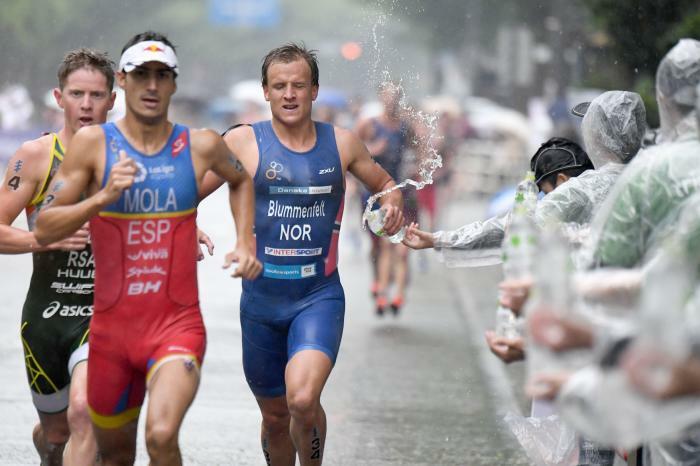 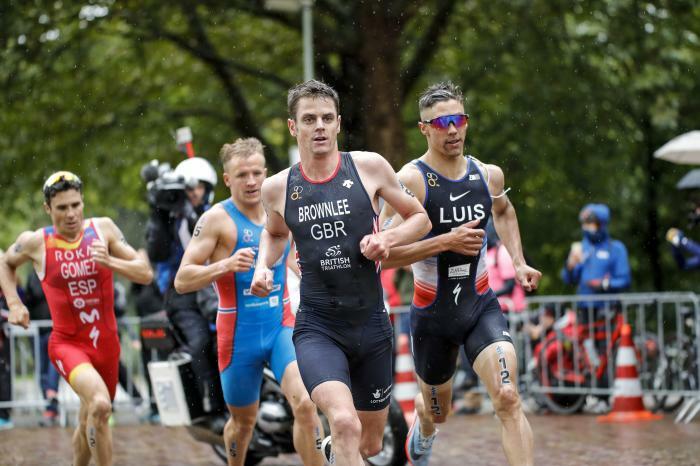 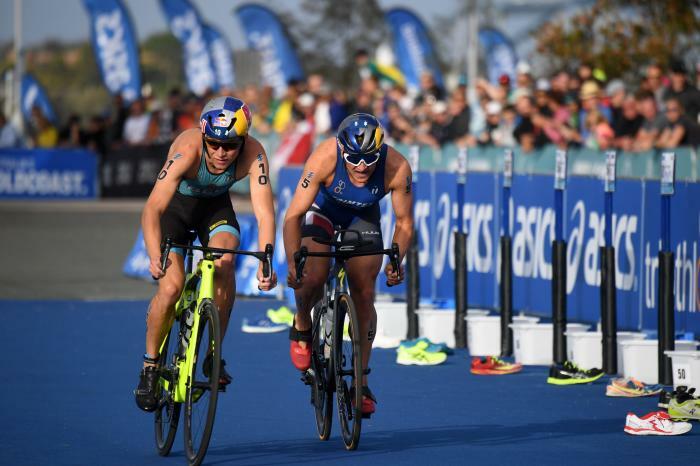 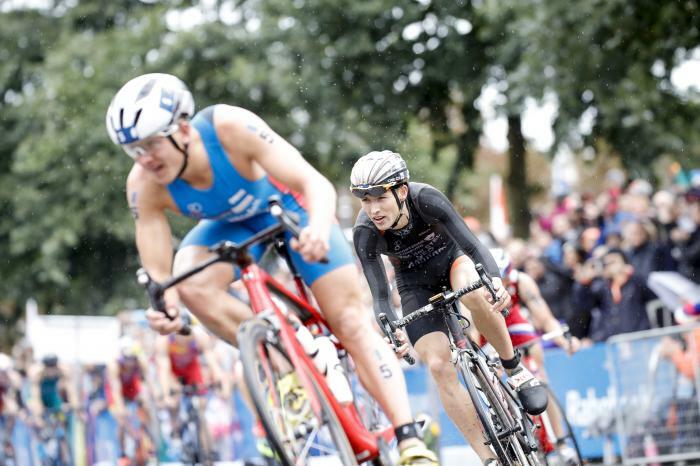 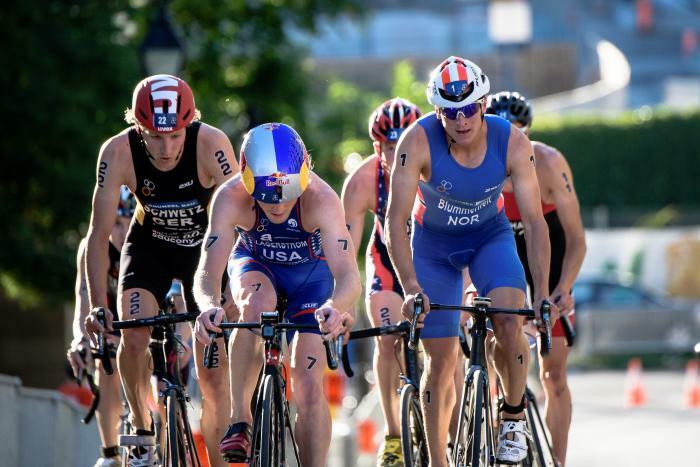 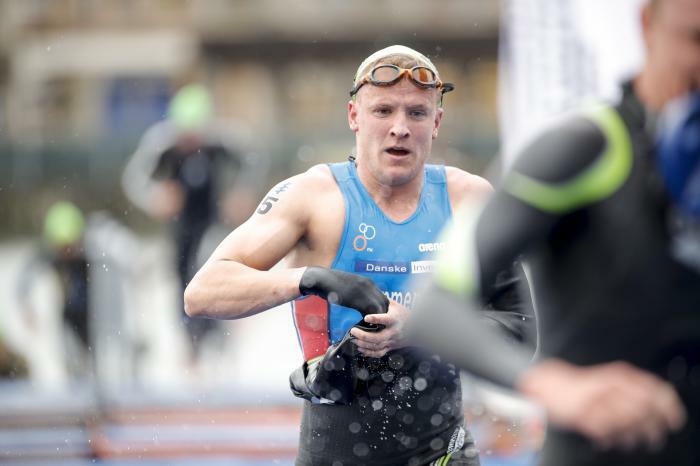 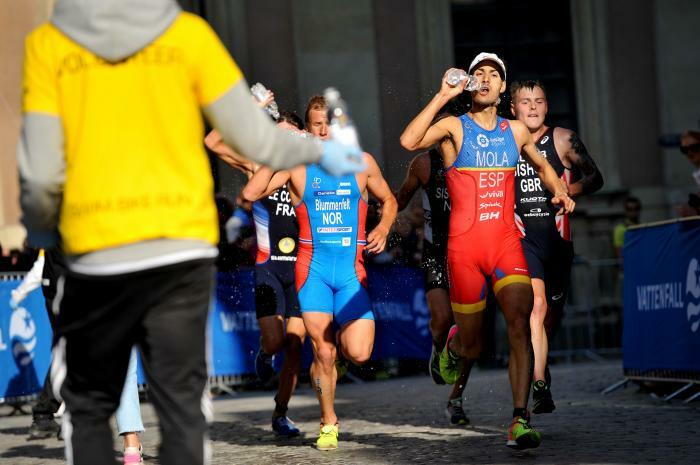 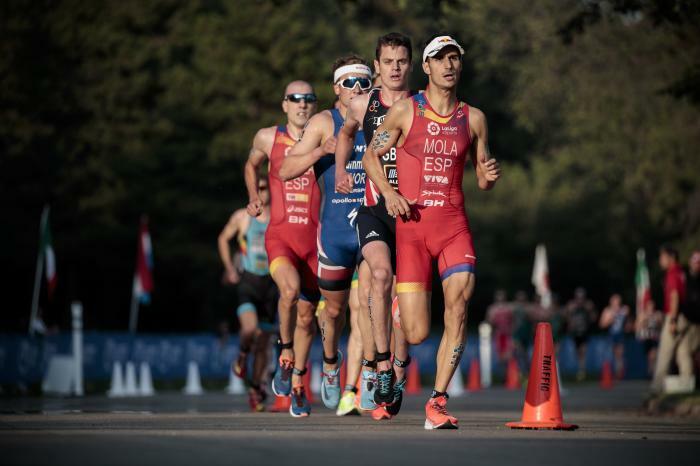 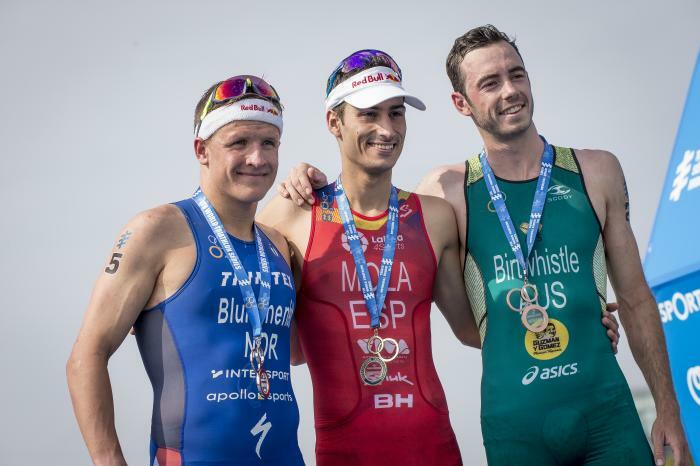 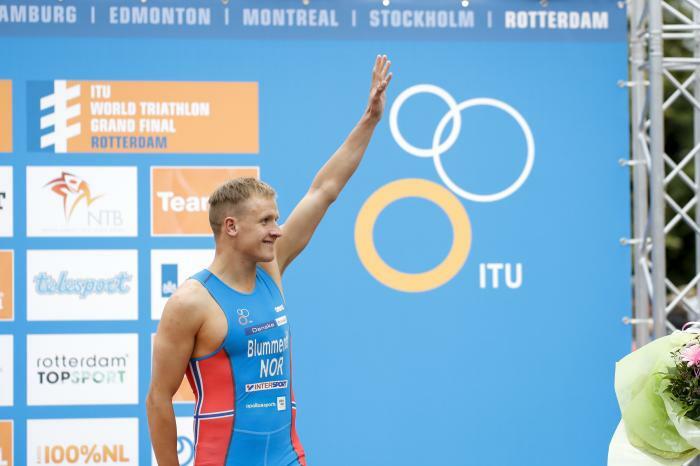 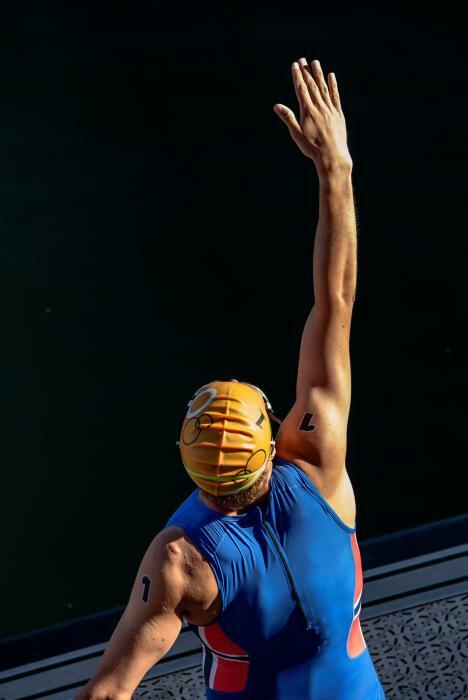 Silvers also followed in Montreal and Edmonton, and with a WTS gold still eluding him as he headed into the 2019 season, his goal for the year was clear enough for all to see. 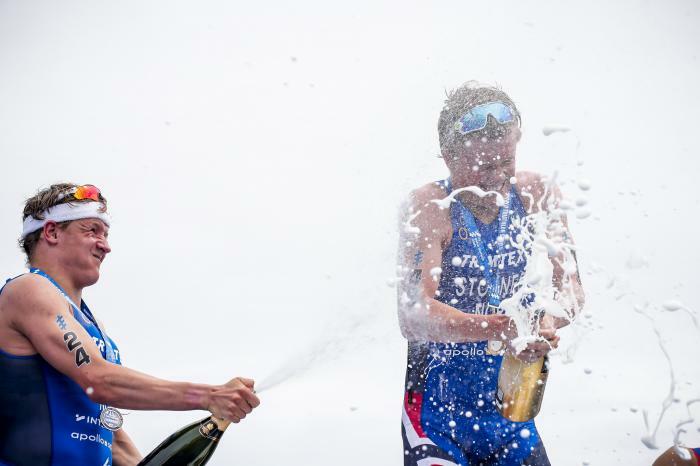 - Winner at the 2016 Montreal ITU Triathlon World Cup.